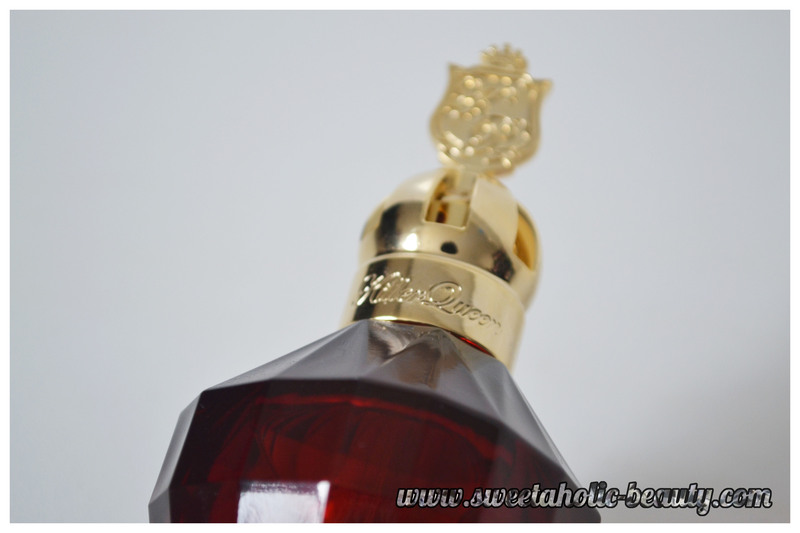 I'm a sucker for celebrity perfumes, so when the gorgeous Katy Perry released her newest fragrance, Killer Queen, I knew it had to be mine! Katy mentions that she was inspired by strong, independent women while creating the fragrance. Let's face it, that's exactly how we see Katy Perry! Not to mention the awesome Queen song reference in there! The packaging is immaculate, and really caught my eye! I was really excited to see Katy Perry take a different avenue with her newest fragrance and moving away from the cute kitty design - this particular design is a little more grown up. How gorgeous is this bottle. 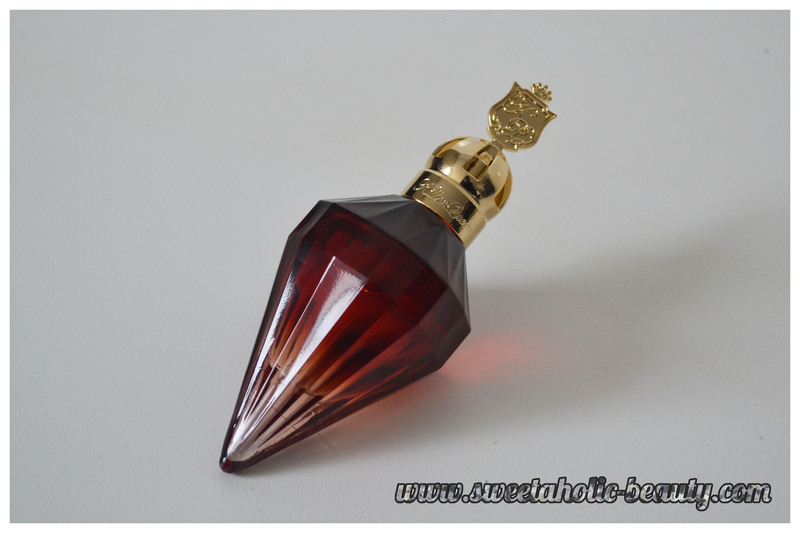 Props to Katy for really creating a bottle beautiful enough to give as a gift to somebody over the age of 16! (As much as I love a kitty shaped perfume bottle, I doubt my mum would!) I really love the design of this bottle, and it most definitely fits the theme of royalty. I also love that the bottle lies down, which makes it a tad more travel friendly than most! Loving the detail in the lid, it's absolutely gorgeous! As for the scent itself, I'm in love! Top notes include dark plum, wild berry and bergamot, while middle notes include red velvet flower, rainbow plumeria, natural jasmine sambac and bottom notes included are cashmeran, natural patchoulie heart and liquid praline. This is a fairly decadent scent, and while it may seem to be a tad on the heavy side, I find that it's still light enough to be worn during the day - however I much prefer this one for a night out! I found that the scent lingers for a decent amount of time! I did find that it smells a bit like chocolate caramel, but I did not find this one sickly in the slightest! 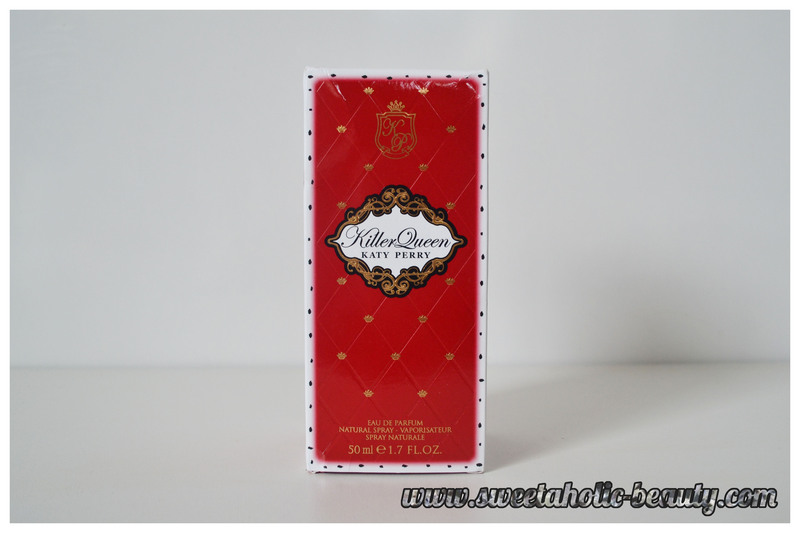 I've really enjoyed wearing Killer Queen. I'm a big fan of wearing this one for a special occasion or a nice night out with the man - the scent is alluring but with a hint of sweetness, which is just my style! I've heard a fair few negative reviews on this fragrance, so before I tell you: "Go out and buy this right now!" I would recommend you go and test it out first! It's definitely not a scent for everyone, and while I truly enjoy it, others may not! 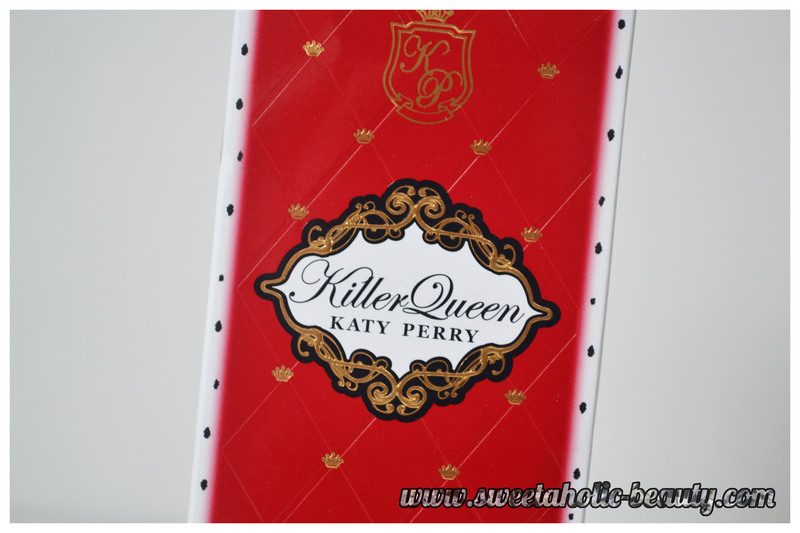 Have you tried Katy Perry's Killer Queen? If so, what did you think? Love the bottle! Definitely looks sophisticated. I don't wear perfume but I'm keen on finding a sweet girly scent that isn't too floral. Any ideas? I'm on the fence about this one. On one hand, it does smell nice; on the other hand, I don't know if I like it enough to commit to a bottle. i work in the perfume shop and spray this everyday. it's really sweet-i love it! Oh I have heard a lot about this one! Haven't smelled it though. I love the look of the bottle!